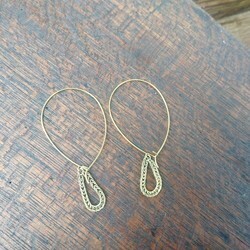 Looped brass chain hook earrings. 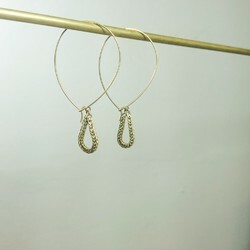 Earring length: 5.6cm (hook included). Brass oxidises in the air and it shows an elegant and vintage look. To keep the good condition, clean with neutral detergent or water (use soft brush if necessary) after wearing, wipe dry and leave in the air for about two minutes (vapour off) and seal in a zipper bag.